How do I search through tickets? Explore the benefits of simple and advanced Ticket Search. Navigate through this guide and learn how to create a new ticket. 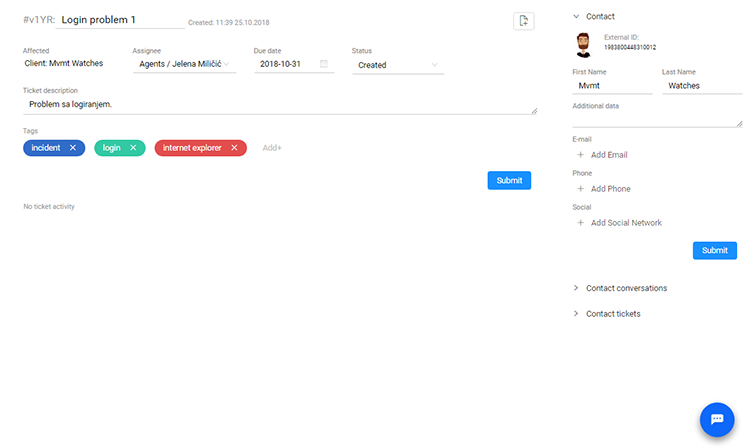 Use conversations to see your archive of conversations or all chats that occurred with users. Ticket is a word used in the industry to represent “something that needs to be solved”. Ultimately, ticketing systems are meant to support and help you to deal with any issues, incidents or requests that came from your organization or outside the organization, managing the tasks from the moment they are opened to their resolution. In this article, we will talk about Tickets and how to navigate through them once you are in the App. 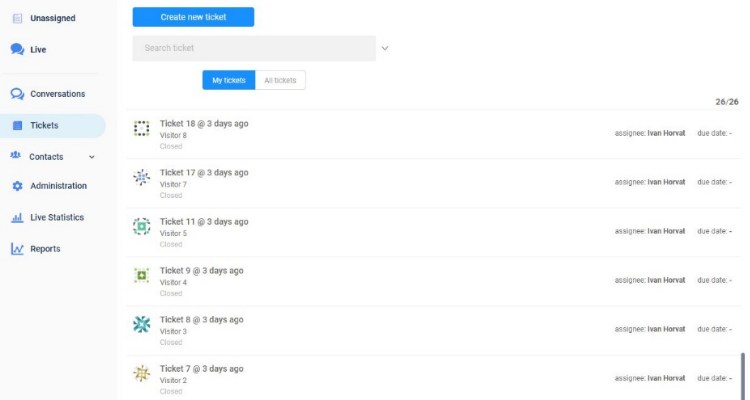 Once you are in a Tickets tab, you will see that there are what is called Tickets. When the client asks for support, regardless of the channel from which the user came, a ticket will be created. Ticket can be about user request, general info, report of an incident or request for change. Every single inquiry came to the Paldesk, and then agents need to determine what is ticket all about. Let’s explore a little more about tickets. On the side, you can see that there is a tab menu where you can see Contact info, Contact conversations, and Contact tickets. Contact info holds all the information about the client who reached you. Agents fill those data manually depending on the need or importance of the data. In Contact conversation tab you can see the list of all the conversations that you had with that client. Clicking on every single conversation opens in a tab, so the agent can quickly view all conversations in one place. On the other hand, in Contact tickets tab you can see the list of all tickets that user had. This will help your agent to have insights in all interaction with a particular client.